Over the last few years, we have purposefully taught our children about our cultural heritage. We are pretty much straight across the board Scottish, Irish and English with a tad Welsh and French. To help them learn, we have attended Celtic Festivals, listened to traditional music - the Tannahill Weavers being our favorite - and read folktales. We also encourage our boys to appreciate the great melting pot of American culture. There are so many opportunities to see our citizens as One instead of groups divided and many of our national holidays are no exception. This upcoming Memorial Day covers generations, races, and belief systems as we come as one people to honor the fallen. For this upcoming Memorial Day, we have read books about the founding of the holiday, learned patriotic songs, and we will look at my father's photo album. He was in the United States Marine Corps for over 20 years, joining during World War Two and retiring during the Vietnam War. While we do not want to glorify war in itself, my boys are learning that they come from a long line of warriors who answered the call to defend freedom, which would require, in some cases, the sacrifice of their own life. 2. On a 3x5 card color a small black circle and cut it out. This will be the center of the flower and will help it keep its shape. Poke 2 holes through the black circle. 3. Stack the 3 red circles with the largest on bottom and smallest on top & poke a hole through them with a pipe cleaner then thread on the black circle. 4. 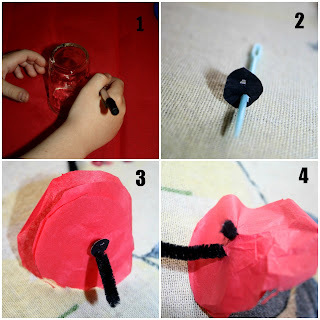 Pull the pipe cleaner through about one inch then thread it back through the black circle and the red tissue paper and twist the end of the pipe cleaner around the stem. 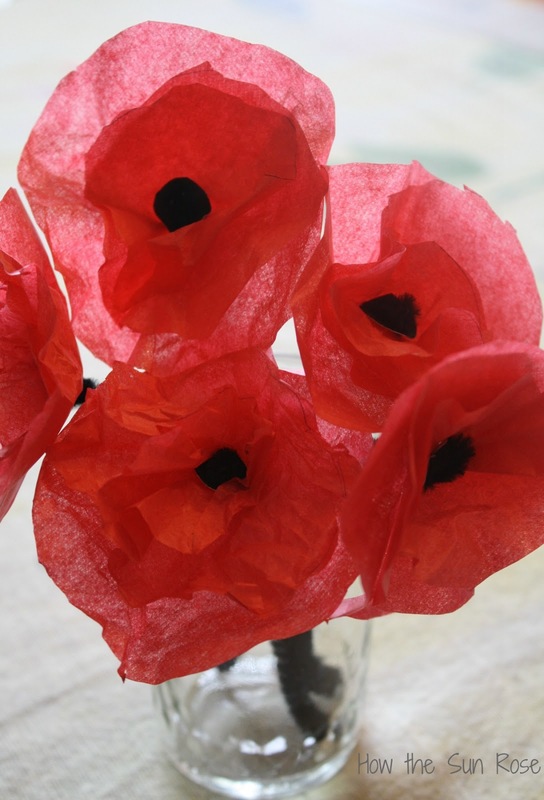 You can wear your poppy in a button hole, around your wrist, in your hair, or pin it to your lapel to show that you remember and honor the those who gave their lives. I loved this post Lynn! You are featured this week on the Hearts for Home blog hop- come on over this week to claim your featured badge! :) Congrats! Oh, I love them!! We will definitely make some next year. Thank you for sharing at Sharing Saturday! I'm so glad you posted on my blog, Lynn--I'm so glad to have found you. And I love these poppies. 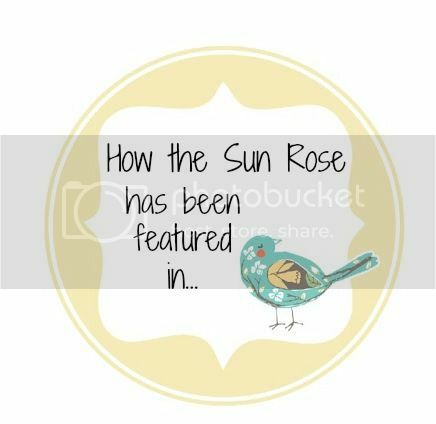 The contents of this blog, including text, original photos and ideas are the sole property of the author. If you intend to use my text or images, please link back to this blog and give credit to How the Sun Rose. Please do not republish an entire post or post photos of my family. A notification email would be greatly appreciated too!